Earlier this month, a collector in California contacted Just Collect as they needed some fast cash to pay off some big bills. Just Collect was happy to assist and promptly responded with a fair and honest offer. 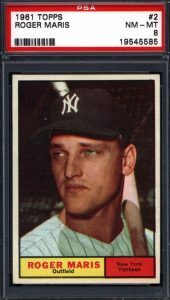 The process involved the collector sending an itemized list of each graded card, along with individual photos of the key cards and group photos of the others. 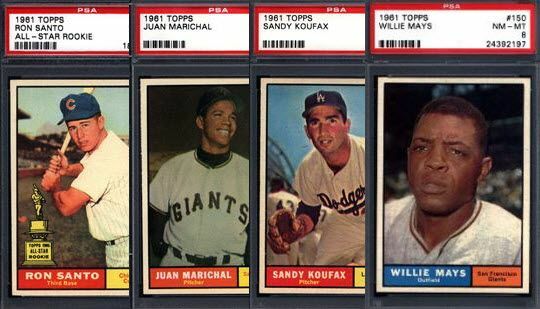 What made this collection special was the owner had started building his 1961 Topps baseball set when he was a kid. 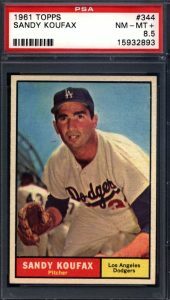 It was the remaining cards he had from his early years that formed the basis for his professionally graded set. "I got myself mentally prepared and all ready for the call," said Leighton. "Coffee poured, spreadsheet open, and every possible question already answered in my head. Then wouldn't ya know, the call lasted all of three minutes. As soon as I made him an offer, the collector gasped and said, 'Wow, that's more than I thought I'd get. Done deal. I'll get the cards ready to ship out.' 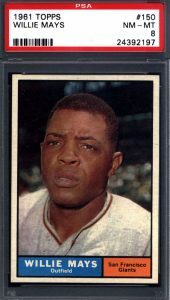 "
See the full '61 set lineup as well as other current listings through the Just Collect eBay page. For collectors who have spent countless hours, and even years, assembling their beloved sets, it can be difficult to part ways when the time comes. It is important for some collectors to have a knowledgeable and caring resource that looks at the person as a whole, not just as someone to make money from. This is the niche Just Collect aims to fill in the industry, as their slogan aptly implies: "Just Collect doesn’t just buy and sell cards, we share memories. We share the memories of your collection, memories of your relationships, memories of your stories about when the game was played for the love of the game." For a free appraisal or offer for your collection, fill out The Cardboard Connection sell form, or you can contact Just Collect directly.